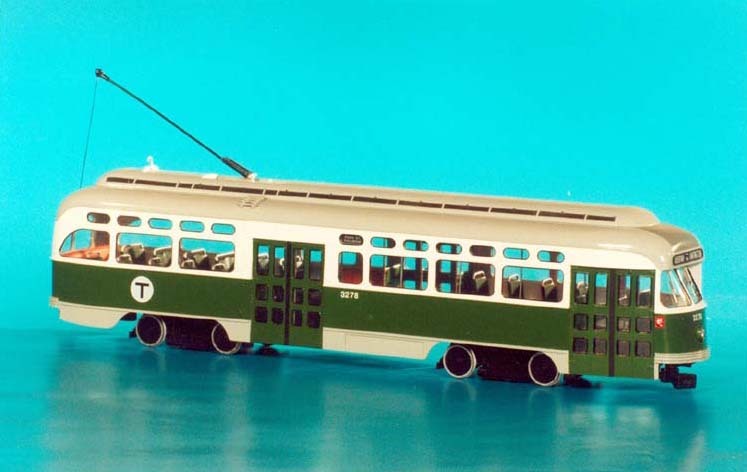 The Picture Window PCCs received a Green Line colors starting from 1972. 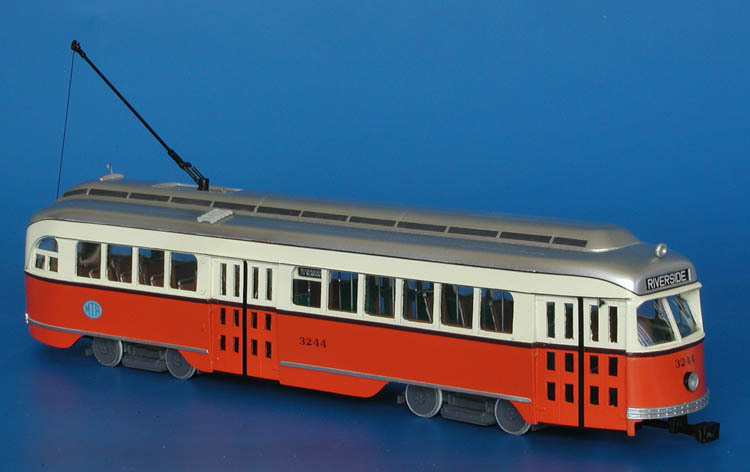 The cars remained in service in Boston until 1986. 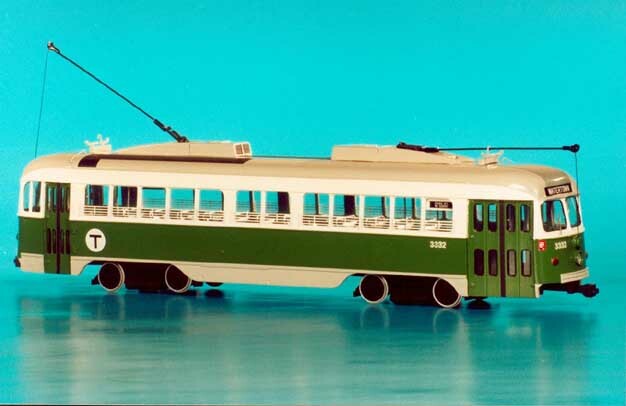 Starting from 60s they received many changes, include solid steel wheels and fiberglass seats. 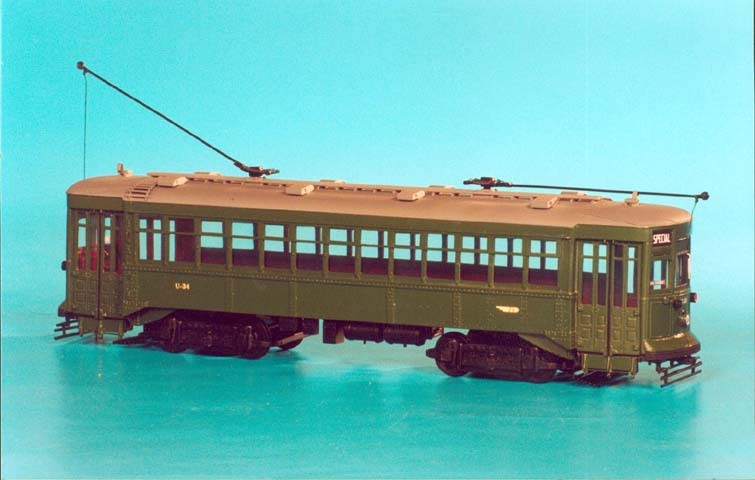 1945/46 MTA Boston Pullman-Standard PCC (Order W6710, 3172-3196; 3222-3271 series) - post'59 livery ("Commonwealth" cars). 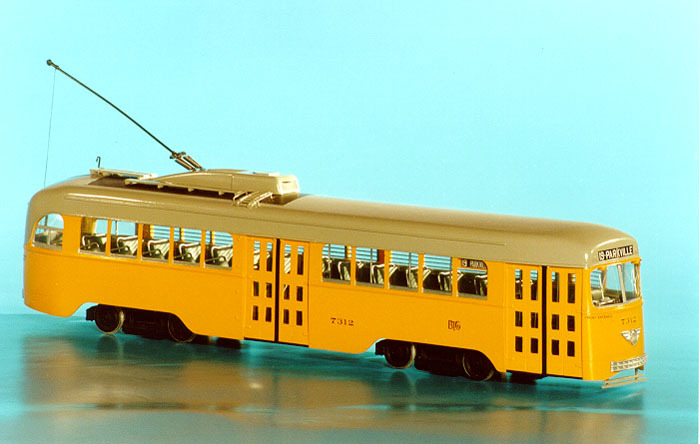 1939 Baltimore Transit Co. Pullman-Standard PCC - final BTCo yellow/grey livery. 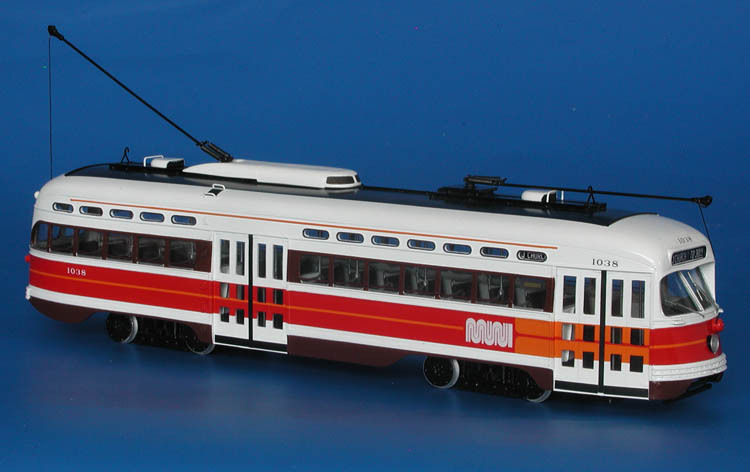 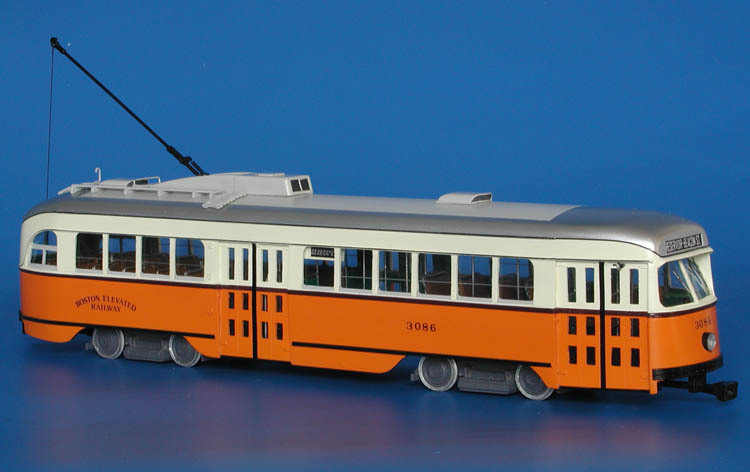 1951/52 San Francisco Municipal Railway St.Louis Car Co. PCC (Job 1675, 1016-1040 series) - post'79 Landor livery.